China shows its friendly face. 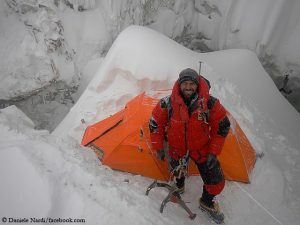 For 10 May, the Chinese government is planning “to provide a charter flight free of charge form Lhasa to Kathmandu for all Sherpas – not just for Climbing Sherpas, but also for cooks and kitchen helpers”, Ralf Dujmovits wrote to me calling it “a generous gesture” – despite the expected propaganda of the Chinese. The most successful German mountaineer arrived in Lhasa, like many other western climbers who were on expedition in Tibet. 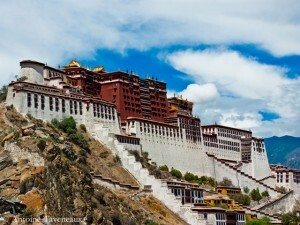 “The China Tibet Mountaineering Association (CTMA) generously bears the costs of transport to Lhasa, accommodation and meals. 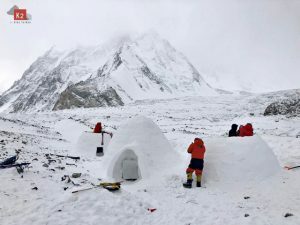 And they take care of the visa formalities for the stranded climbers coming from all Tibetan peaks”, the 53-year-old said. The land route from Tibet to Nepal is still blocked nine days after the devastating earthquake. Since yesterday, Chinese helpers are trying to clear the damaged road from the Nepalese border village Kodari to Kathmandu, using heavy equipment. 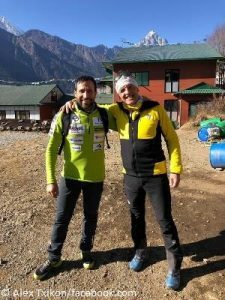 Dujmovits and Hansen are going to fly from Lhasa to Kathmandu. Ralf wants to see for himself the scale of the damage in Sindhupalchowk district which is located in the east of the Nepalese capital. 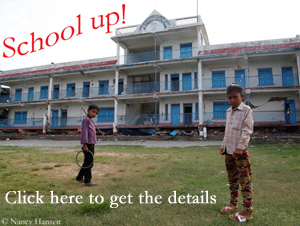 Along with the German aid organisation “Nepalhilfe Beilngries”, he had founded two schools in the area a few years ago. “Reportedly they either were severely damaged or destroyed”, Ralf wrote. 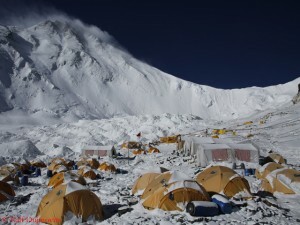 This region, including the Langtang National Park, was hit by the earthquake particularly hard. To date, the Nepalese government has registered more than 2,800 dead in the district. Several hundred people are still missing. Among them are numerous trekking tourists, also from Germany. Overall, the death toll in Nepal has been rising to more than 7,300.